CIE Tours know that there’s no way to discover a new country like through its music, and Ireland’s got quite a bit of that! Discover CIE Tours Jewels of Ireland: Special Access Backstage Tour, an amazing way to take in all of the wonder of the Emerald Isle with a special focus on its sounds. 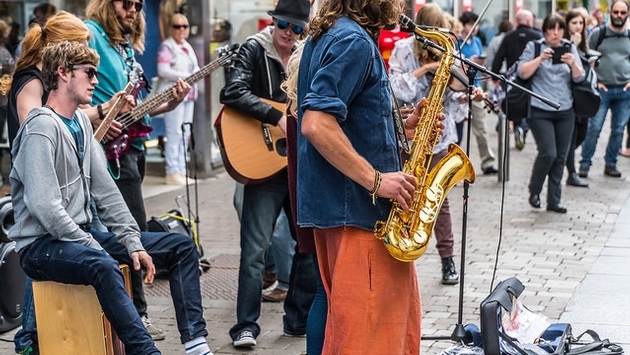 As you travel through Dublin, Belfast, Kinsale, Galway, and beyond, you’ll have the opportunity to enjoy traditional dance sessions, interaction with performers, backstage access, and talks with celebrated musicians. Of course, this very special guided vacation doesn’t deprive all of your other senses. Can’t-miss Irish experiences like a cruise on Dingle Bay, a horse-drawn jaunting ride in Killarney, and a visit to the Sheepdog trials at Caherconnell are part of your journey. Plus, explore the flavors of the country with tastings of home baked scones, a medieval-castle banquet, Irish coffee, and of course, Guinness. So, get ready for an experience like never before. Learn more and book now at CIETours.com. Melissa Sourbis is a Trade Marketing Specialist at CIE Tours International. She graduated from Ramapo College of New Jersey in 2014 and has a B.S. in Business Administration with a concentration in Marketing. She has been traveling from a young age, but still has many places to check off her bucket list.